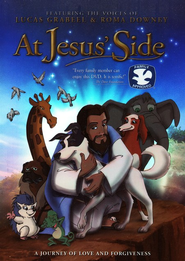 When Jesus is kind to a stray dog, Jericho and his misfit friends decide to follow this good man---but have no idea that it's the last week of his life! Jericho rallies an epic---and futile---charge at Gethsemane to try and save Jesus, grieves at the crucifixion, and rejoices at the resurrection. (PG.) 82 minutes.